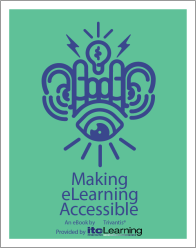 If you need to make your content Accessible/WCAG then this ebook will be very handy! Take away some great resources including a Accessibility Development Checklist and tips for how to make your accessible content more interactive. Are you considering adding another authoring tool to your kit? 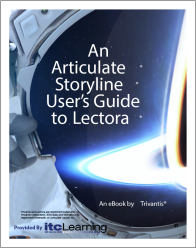 This guide provides a comprehensive overview of the similarities and differences between two heavy hitters Articulate Storyline and Lectora. 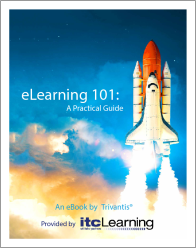 Learn basic eLearning principals in this easy to understand guide. 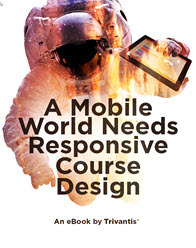 Take a journey through need-to-know topics such as What is Instructional Design? and What is an LMS?, then delve into more advanced topics and Development Considerations. Everything you need to know to get started! 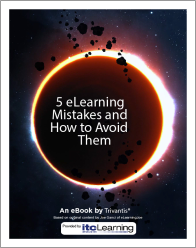 This ebook lets you in on the top five eLearning mistakes identified during planning and development, and provides simple, straight forward explanations on how you can avoid them. 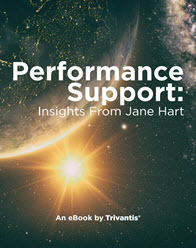 Internationally renowned speaker and writer, Jane Hart, shares her thoughts and research into workplace learning in this ebook. Drawing on her observations of market trends and technological advances, Jane takes you through the processes she recommends to modernise training in your organisation. Responsive Course Design is the major change effecting training and development, but do you know how easy Lectora makes it to access your content on multiple devices? This book explains the key principles of RCD and guides you through the steps and considerations you’ll need to know when using Lectora to build your content. Storytelling is one of the most compelling ways to illicit compelling user involvement. Now with BranchTrack, using stories and scenarios has become easier than ever. 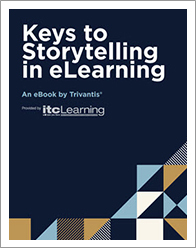 In this ebook, you’ll learn about different storytelling techniques and how you can apply them to your own elearning content.